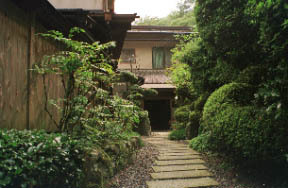 The isolated lodging house which stands still at the heart of the mountain of a yoshino quietly. 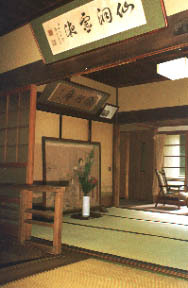 Traditional inside of a hall which the time of the Touson Shimazaki stay will bear for meiji 26 years (main building). 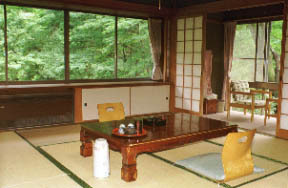 The view of trees, such as the large wild cherry tree and azalea of a site or a hill at the back, and a maple, can be enjoyed. 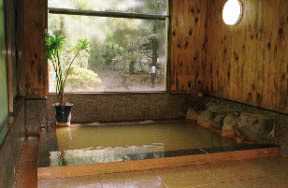 The Na, the reddish brown hot water, the drink-spring possible by which the Founded or started to use this hot spring had already been carried out before the about 300 year and which get warm well. 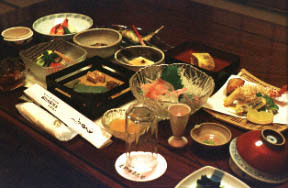 The lodge of a dish Ryokan and a dish are wonderful again.